It was difficult passing Dodd-Frank Wall Street Reform even when the Congress was dominated by a large Democratic majority. If a party claims to be a party of the people, the party of the middle class, the poor, and the dispossessed, this is unconscionable. The US Congress is now under full Republican control. It is simply unforgivable for any politician let alone any Democrat to weaken Dodd-Frank. Sadly, that is exactly what happened. 35 Democrats voted to weaken it. DailyKOS called out the Democrats that misbehaved. At the Daily Kos activism team, we ask you to sign petitions and e-mail your members of Congress every day. But when some Democrats keep voting the wrong way, we must amp up the pressure—and have constituents call their office. When you look at who were the 35 Democrats, some of the names may surprise you: they are not all conservative Blue Dogs. It’s proof that Wall Street pays close attention to these votes—and rewards those who do their bidding. So we set up a Daily Kos petition denouncing the 35 House Democrats, which over 118,000 people have signed. We also generated thousands of emails from their constituents. This week, the House voted again to gut Wall Street reform with HR 37—but this time only 29 Democrats supported the same legislation. Four Democrats switched their votes from yes to no (Bobby Rush of Chicago, Hank Johnson from the Atlanta suburbs, Elizabeth Etsy of Connecticut and Suzan DelBene of Washington), three more did not vote, and one Democrat—Brian Higgins of New York—flipped the other way. So our work clearly had an impact, but not enough. Every time a Democrat abandons the Party to shill for corporations at the expense of their constituents, we must let them know we are watching and won’t forget when it comes time for re-election. And that means ratcheting up the pressure. Sure, it’s a lot easier to press “click” with an email—but clogging the Congressmember’s telephone line is harder for them to ignore. If your Congressmember voted to gut Wall Street Reform a second time, we need you to call them and express your disapproval. We have made it really easy for you by writing a script, and listing the phone numbers of the 29 House Democrats. After you make the call (which only takes five minutes), we ask you to fill out the form at the bottom of our landing page to give us feedback on how it went. A few of our folks have been making these calls already, and we’ll have a follow-up blog post on what they’re hearing. UPDATE (7:45 PM P.S.T. ): John Garamendi, one of the 3 House Democrats to vote “yes” last week and then switch to “not voting” issued a statement tonight saying that he was out of town on a family emergency—but would have voted “no” if present. He also credits the response from his constituents as to why he would have switched. 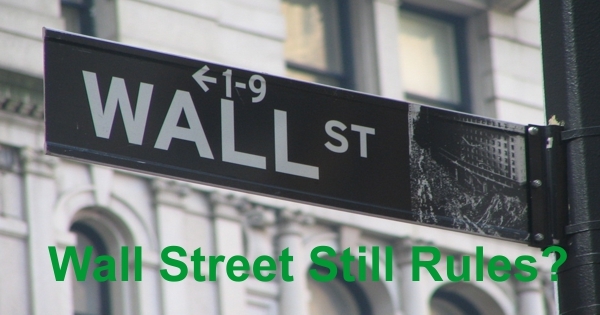 How does the bill weaken Wall Street Reform? Congressman Keith Ellison (D-MN) describes it this way. This is not how our Democracy was intended to function. It doesn’t matter what side of the aisle you are on…each of these new Members should vote “no” on this legislation. 1. Weakens the Volcker Rule. This bill undercuts an important part of the Dodd-Frank Wall Street Reform and Consumer Protection Act. The Volcker Rule was intended to prevent deposit-taking banks from making bets using taxpayer insured funds. Even though the Federal Reserve went out of its way to ease the transition to a safer system, this bill would give mega-banks another two years to sell off certain securities in which they retain ownership rights. And this provision, which almost certainly juices the profits of the mega-banks like Citigroup and JP Morgan, has never been vetted. The public has not even had a day to review this text. How are we supposed to vote on this? It’s wrong that bills that help Wall Street and multi-national corporations get fast-tracked on day 2 while bills that help working families have been slow-walked for years. Just last month, Republicans successfully handed Citigroup and the other mega-banks a multi-billion dollar gift by repealing another reform measure known as “Swaps Push-Out,” which was intended to prevent another Great Recession. The repeal of that provision allowed the mega banks continue to borrow from the Federal Reserve lending window – currently at about zero percent interest — to finance their risky derivatives trading. This bill also includes three other provisions that weaken the Dodd-Frank Wall Street Reform and Consumer Protection Act by taking away authority from the regulators charged with ensuring that everyone plays by the same rules. So, if at some point in the future we find out that our financial system is threatened, our regulators will be unable to take decisive action to fix the problem as they can do today. After witnessing the effect that one type of derivative, the credit default swap, had in spreading the losses from the subprime mortgage market around the world, I’d like to know why our first order of business this Congress is to roll back financial reforms that this Congress deliberatively passed over an 18-month period following the 2008 Financial Crisis. The bill includes three provisions that have the potential to leave investors worse off than they are today. In one instance, the bill exempts individuals that would broker a merger of a privately-owned company to be exempt from SEC registration. Since this legislation passed in the previous Congress, the SEC took actions making it unnecessary. However, if we pass the bill today, we will undermine a few basic investor protections the SEC retained. For example, the SEC determined that bad actors, such as convicted securities fraudsters, should not be able to take advantage of the carve-out. However, by voting yes, you are saying that it is ok for people convicted of fraud to sell other things – like franchises or the restaurant down the street. Another provision would allow 75% of all public companies to no longer report their financial statements in computer-readable formats. When everything is online today, and investors rely on computers to crunch the financials of various companies, this bill comes across as a huge step backwards. Ironically, my colleagues on the other side seem to forget that our capital markets only function as well as they do because investors understand the companies they are investing in. Even Republican Congressman Darrell Issa has pressed the SEC to do more on this issue to make company data more investor-friendly – this bill take the opposite approach, and undoes much of the progress the SEC has made. Why would we risk intentionally harming both small companies and investors this way? If much of this bill reads as if we never had a financial crisis, Title Eleven reads like we never had an ENRON or Worldcom. I am all for private companies compensating their employees with company securities but not if basic financial disclosure documents are not provided. This provision provides up to $10 million in company securities without having to provide the employees certain basic financial disclosures about the company. That’s right, this bill raises the maximum compensation from $5 million to $10 million – which will increase with inflation — without requiring basic financial disclosures to the employees. Those benefits should be tangible and real and not subject to any accounting shenanigans. We all remember ENRON where employees were pressured to buy stock options that were completely worthless. Why can’t we enable employees to receive some equity in the company for which they work AND ensure workers get accurate financial disclosure forms? Republicans have brought this complex, eleven-bill package to the floor under suspension of the Rules, denying members the opportunity to offer amendments and have a robust fair debate. Just last month, that strategy led to the repeal of the “swaps push-out” rule, a crucial reform in Dodd-Frank. As this bill makes clear, the Republican strategy of jamming complex legislation through Congress will only continue, depriving the minority and the American public of the chance to provide meaningful input during the legislative process and threatening the provisions we put in place to protect our economy from another devastating financial crisis. We must send a strong message that this is unacceptable. I urge a “NO” vote, and reserve the balance of my time.